A young couple kisses from opposite sides of the fence at County Line Orchard. 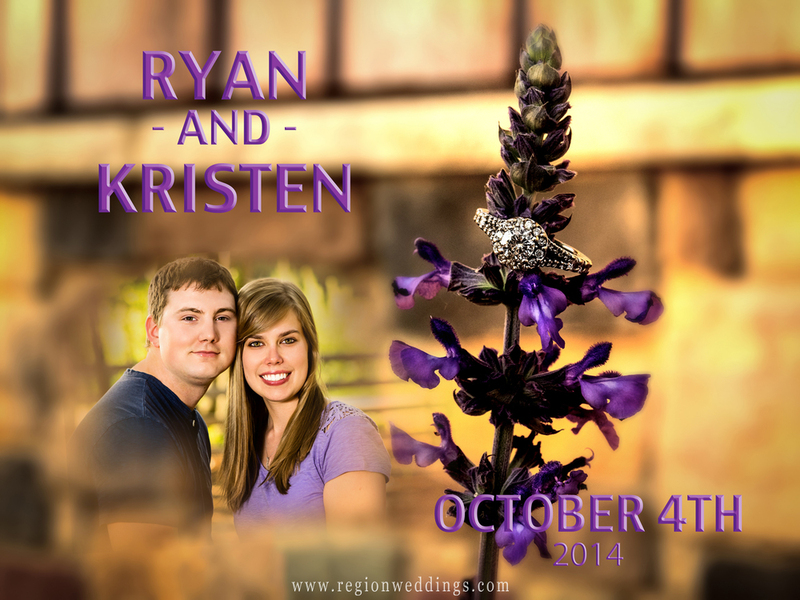 Kristen and Ryan are getting married on October 4th with purple as their color. They had their heart set on engagement photos at County Line Orchard so off we went for a session all around the iconic Northwest Indiana venue. Special thanks to Roxanne (wedding coordinator at the venue) for her hospitality in letting us have free reign around the Orchard after hours. 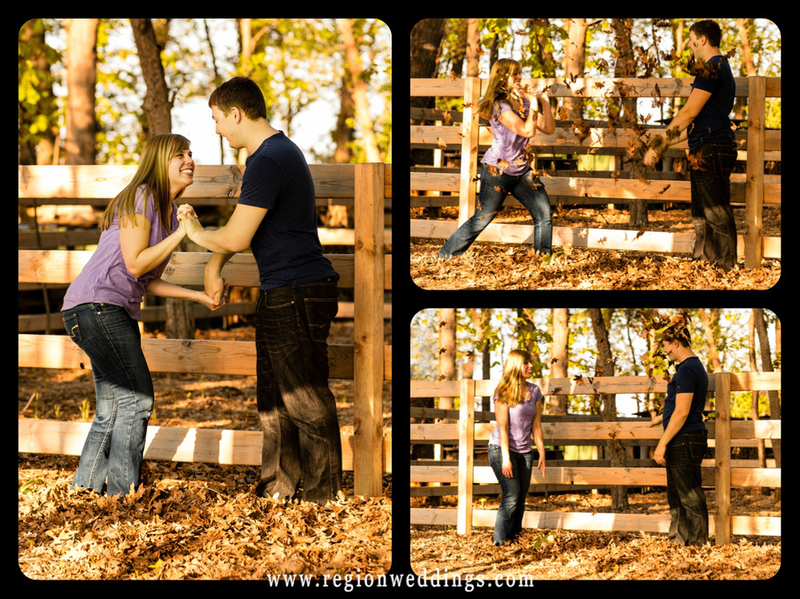 A young couple has a leaf fight at County Line Orchard for their engagement photos. Engagement photo in front of the red barn doors at County Line Orchard. 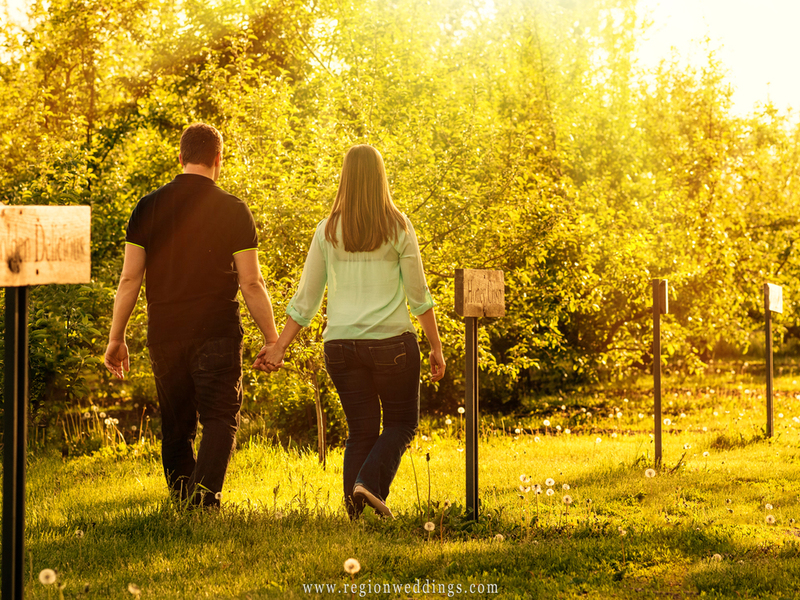 An engaged couple walks among the apple orchards. 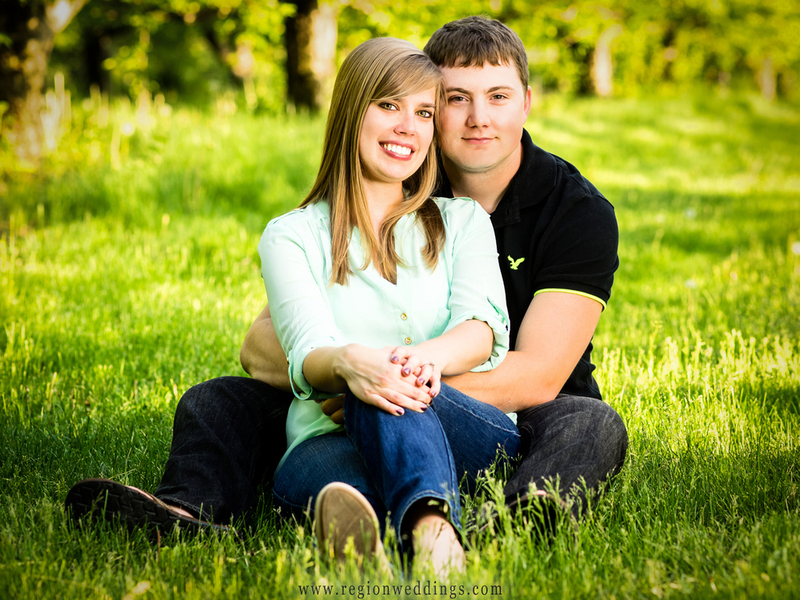 Portrait of a soon to be married couple in the grass at the apple orchards in Hobart, Indiana. A lazy afternoon at Hobart's County Line Orchard. Kristen asked for a ring shot and she also wanted to who off her wedding colors so we opted for these purple flowers conveniently planted for us just outside the back of the building. I combined another portrait along with the wedding date for an engagement collage. An engagement ring sits atop purple flowers with a photo of the couple and their wedding date. The sun was bold and bright even toward dusk on this beautiful Spring day, but we used it to our advantage for some soft focus shots of the future bride and groom. A soft focus black and white engagement photo of a couple snuggling in the grass engulfed in sunlight. 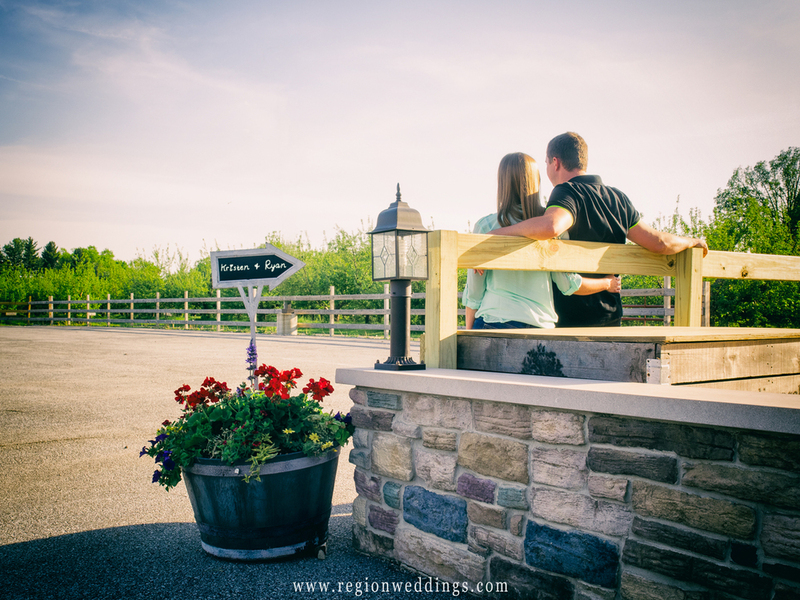 I hope you have enjoyed this sneak peek at Ryan and Kristen's engagement session at County Line Orchard. Subscribe to this page below and follow Region Weddings on Facebook for more updates. Hanging out at County Line Orchard on a hazy afternoon in the Spring.